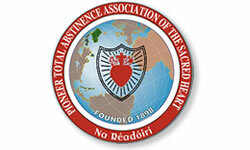 The association promotes sobriety and temperance. Its chief means are prayer and self-sacrifice. We welcome anyone who is willing to take a pledge to abstain from alcoholic drink for love of Christ and their fellow man and women. To contact Holy Rosary Pioneer Association telephone Patrick McCarney on 028 9070 3553 or Roisin Smylie on 028 9064 6957. For full information on the history and work of the association, visit the association website by clicking the link below. We are a vibrant, diverse, Catholic community in South Belfast, dedicated to living the Gospel day by day through our words and actions.